Do you creep on your old boat(s)? I always like seeing people having fun on my former boats. No idea what happened to my first one.... sold it locally and never saw it again. Weird. And I know that @CharlieBeaU just recently upgraded to a new LSV, so haven't seen pics of the ol' 14 this season. 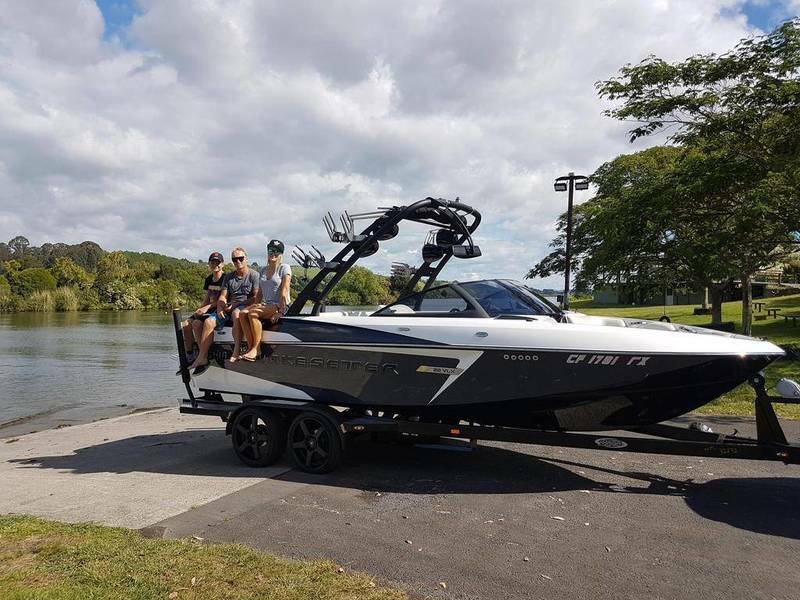 My last two boats went to same buyer in New Zealand... (2013 VLX, 2015 22 VLX) I do keep in touch with him and he seems to really be enjoying the 22VLX. I also had the chance to meet him and his family last year when they were out visiting Lake Tahoe. Very cool to finally meet him in person after countless emails, wire transfers, etc. He also upgraded the trailer wheels which added a nice custom look. How in the world did you find a buyer in New Zealand? Must have made the sale very complicated. I don't creep on purpose, but if I stumble across something...it's more fun than creeping on an old girlfriend on Facebook. 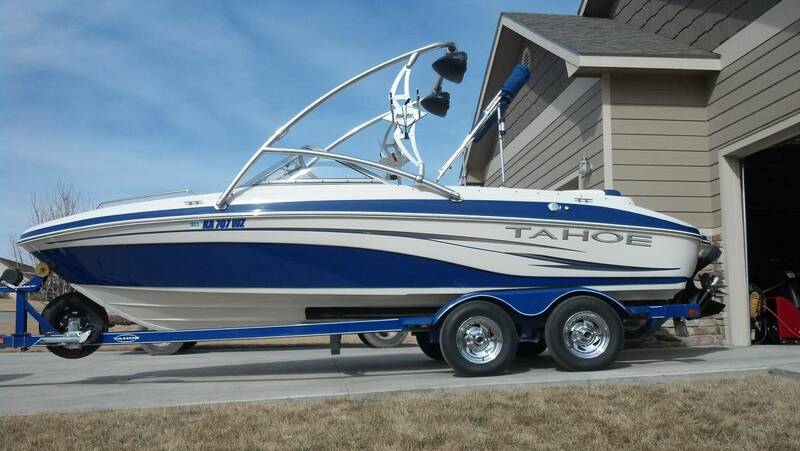 I sold this boat in April 2011, and had not seen it since. They hit a rock at Lake Powell and it was at the dealership to get fixed. I admit that I did actually undo the cover to see what the interior looks like. They added some tower lights, replaced the rims, and had replaced the interior. Everything else looked the same. Won't have to creep on 12 as it will be hanging with my new 18 because it sold to family. I still keep up with the last 4 Boats. The earlier ones than these I have lost track of them. I have seen one (2001 SSLXI) pop up on TMC after several years. I wouldn’t call it creeping but I text them at least once a summer to see how they like the boats, how they are holding up and just to let them know I’m still there for them in case of issues. They have all contacted me in the past to ask questions about problems or advice. Several of them want to know when I sell my boats every year so they can upgrade if they are ready. A couple of them say they will buy if they can help design the next one. I won’t do that without some $$ up front and wouldn’t really want to do that. I’m in Texas and every boat I’ve sold went out of state. I have a person that has spoken for my '18 locally, if that sale goes through it will be easy to "Creep" on. Actually he found me from a boat trader ad. I remember the first email I got and thought it was spam. We begun to exchange more info and before you know it he is calling my dealer to verify who I was and the condition of the boat. Next thing you know a deposit is wired to me. We had to ship the boat down to Long Beach CA and then on a boat to New Zealand. The 21 VLX was put in a container sideways with the tower removed. The 22VLX was shipped roll on method on the trailer. It takes about 6 weeks for the boat to arrive in New Zealand from Long Beach. Little bit of logistics involved but overall a great experience that went very smooth. The buyer takes all the risk in this scenario, he wired me all of the money before the boat even left my house. It was a win win...I found a repeat buyer and also made a new friend, he is really a great guy...thoroughly enjoyed his visit to my house when we was out in our area. Nice story. I still have fond memories of the past owners of the previous two boats I purchased. They were both very nice and good people. It is nice to know that in times like this, there is still goodness out there. I went to NZ in 2009 and found it to be a very beautiful country. When I sold my 1987 Supra (I had completely rebuilt it from the hull up... stringers... floor.... motor...etc) I was relieved that it was going to a professional mechanic. Even more relieved that I never heard from him again! I do get reports from people that have seen it on the highway or on a lake somewhere about 2-3x per year. Makes me happy that him and his family are enjoying it. I do... it’s still for sale at the dealer... and as soon as @Badger buys it I will stalk t and still ski it! I really don't want to see my last boat. I saw it the first day the new owner had it dirty shoe prints on the pure white vinyl, doritos crumbs and fingerprints everywhere. Can't imagine what it looks like after 4 years. I keep an eye out for my old sportster that was sold in 2014 to some fellow Michiganders, but haven't seen it since it left my driveway. I had some contact with the buyer from my '14 earlier this summer on surf setup, but that was it. Buyer was from WA, but I was hoping he would join up here and post some pics occasionally. I'd like to know that the boats are being enjoyed by the buyers, but sometimes you just have to let it go. The '14 went to a family in Medford, OR, by way of AWS. From what I hear from Nick at AWS they are absolutely loving it. - While fixing a very minor issue on the motor, he created a very major issue by reving the motor in-gear with the outdrive all the way up, destroying the outdrive. He messaged me kind of pissed as if I told him to do this; never had an ounce of trouble from the outdrive the entire time I owned it. - He puts on a new outdrive and his dad backs into the trailer, doing some significant damage I'm told. Fortunately, the trailer was a rusted POS with a trashed brake system, so a good trailer to smash up. Never heard about it since. I'd assume it is still running but don't really care either way. He would never be on waters local to me so I'll never see it. When I saw the title of this thread I thought you meant something totally different. Last time I saw my old boat was my wedding day. 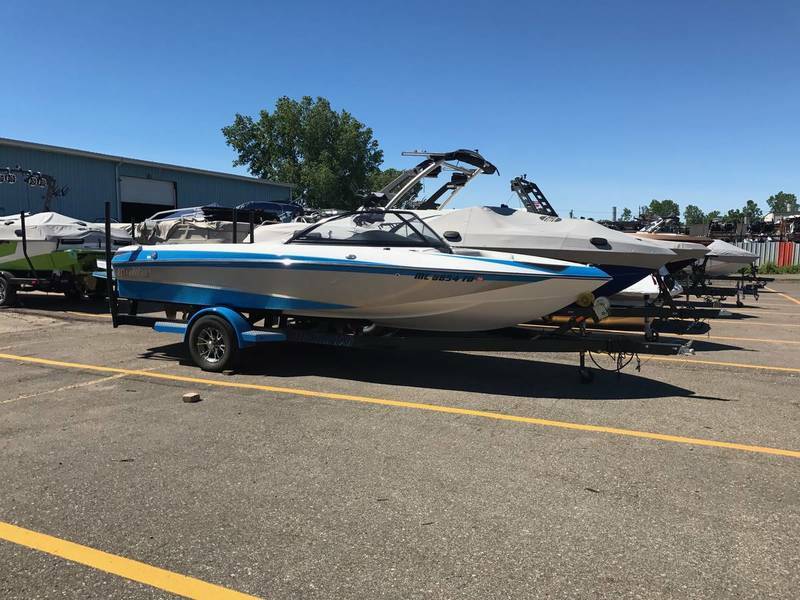 We went out for a morning set and were leaving the lake when I saw the boat we sold launching on the same ramp. I didn't have much time to stay and chat but the boat looked fine. It was an 18' IO with low hours and very clean/ well maintained. He looked at me and said OH, you really upgrade huh. I just smiled and said yes. I saw my '02 yesterday, it's on the same like I'm at. I found a few things in the garage that came from it (spare rack knobs, etc.) so I need to give that stuff to the new owner. He's put about 100-125 hours on it since I sold it to him, as well as upgrade the ballast system (bags, pumps, etc.). Overall it looks to be in good shape, and I've told the new owner to call or txt if he ever needs any advice or assistance. I'll have to try to get a picture of it today. I wish I knew what happened to my '93 Echelon. I sold it to a young guy from Winters, CA so I figure it's on Lake Berryessa but I haven't been there since before I sold it to him. If it ever pops up on CL I might be temped to buy it back depending on condition and price. I don't what happened to any of the boats I had before I got my first Malibu, a Wellcraft 192 Sport, and a 16' Silverline. Sold my 2008 Tahoe Q6 in February 2014 to a guy only 30 miles away and haven't seen it since. I ran into him two years ago and he said that he may sell it if he doesn't get more time to use it. I have know idea if he still has it or not. Can a person research a hin to see if their old boat is in use or where its at? 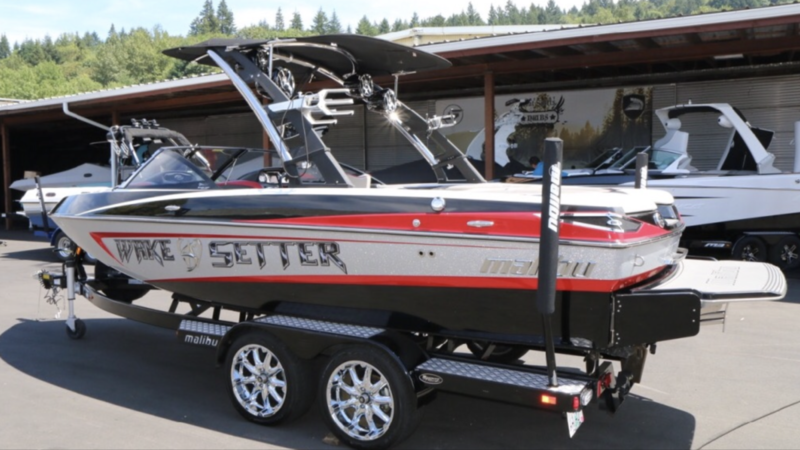 @skurfer has my old 2013 VLX for sale at Northwest Boat Sports as we speak! First time I’ve seen her since I dropped her off there in Feb 2014. Other fun facts: this was my first stereo delete boat... it was 100% exile (although given the new owner added transom and cabin remotes I suspect they added a black box at some point). This was also the last stereo I didn’t install by myself. The hull scheme is “classic” below the rub rail but “progressive” on the top deck. Try getting Malibu to do that today. The boat also runs the controversial Cut Diamond hull. I did that for my wife who likes to ski. I really did plan on keeping this one. I even spec’d the boat with quad racks (incl one slalom ski rack). Of course I pulled them off and sold them separately later. Looks like the new owner upgraded one of the remaining racks to wider forks. Notice there’s no mention of the Diamond hull in the ad which sorta proves it has zero impact on resale. This is also the first boat I invited another TMC’er to ride which led to much debate on this forum about the merits of Surf Gate. That bimini was the upgraded GL Sunbrella top. Also, what’s with the spare tire cover. There was a matching 18” Badlands rim there. Did it survive?? After all the issues I had with my former boat, I couldn't care less to see it again. I do hope the new owner was able to fix everything and is still enjoying it. 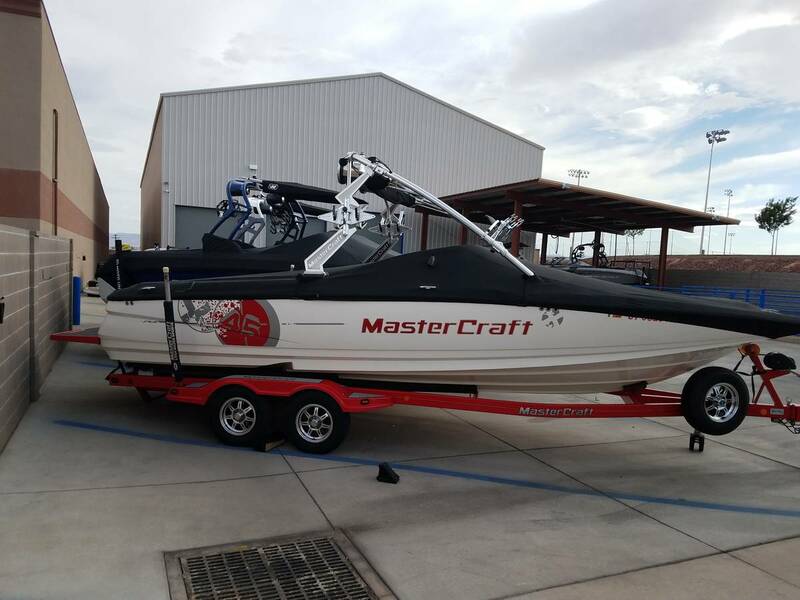 I wasn't creeping, but I was at a dealership event on Lake Lewisville two years ago and out on one of Water Ski America's new boats. Thanks WSA for being an awesome dealer! My '99 Response, which I've owned since 2010 and was in perfect condition when I bought it used from WSA and still is, was moored near the event dock. Coming back to the dock in the new boat I hear my name being called and one of the WSA owners walking up. He says this family needs to talk to me. Right about that time, the young lady, about 18 years old, of the family says "I want my boat back! I love that boat" Of course I love that boat too and while the new TXIs are tempting, I'm pretty sure one won't improve my skiing. We all had a good laugh and talk about the boat. Nice family. I just learned that the guy who ran our Repsonse TXi as a promo for a year bought it yesterday! He isn’t in the promo program anymore and went into the dealer to buy something used, like early 2000’s then learned that I traded it in. He’s stoked and I’m stoked too. He took great care of it during his promo period and was happy that I was the only owner in between. And it’s local! I think that’s a pretty cool story. I sold my last boat, a 94 MC Prostar 205, to a guy who lived nearby & used it on the same lake we do. I had added ballast, a tower, stereo, heater & set it so it was super easy to winterize. When I was going over the boat with the new owner, I tried to show him the process, he blew it off saying he had a heated warehouse and would not be messing with winterizing it. Sure enough, a couple winters later it was a bad one & his warehouse lost power for like a week. I ran into him on the lake & asked about it. He was all out off & said he was selling it. I found out from his wife about the details.